Of all of the fall traditions, the corn maze has to be one of my favorites. It reminds me of simpler times, of the carefree nature of my childhood. People tend to think of Ohio as all corn fields. And although we have great cities and urban centers, there is something to be said for the maize filled fields. Especially when they have works of art carved into them. 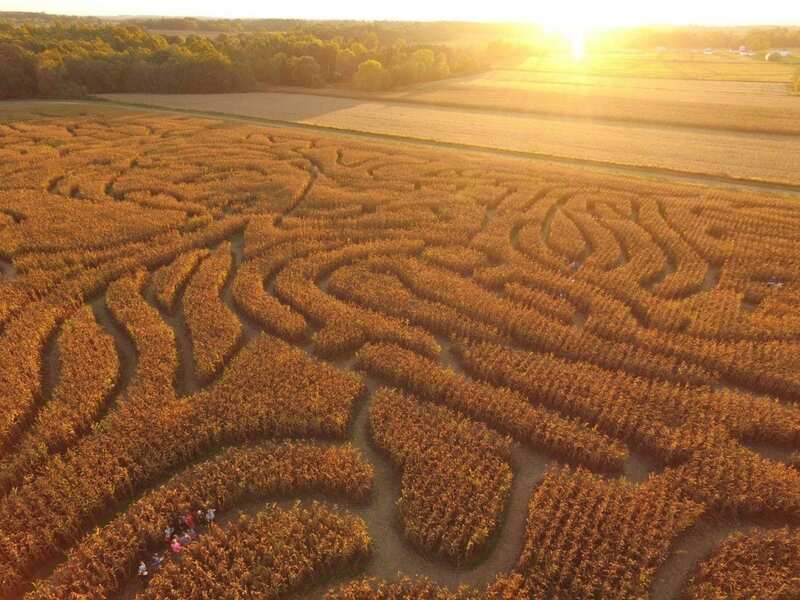 Here are the 10 Best Corn Mazes in Ohio. What: In a galaxy far, far away… Just kidding, it’s only in Pataskala. This year, Lynd Fruit Farm is hosting Corn Wars, an 8-acre scavenger hunt. Search for clue stations throughout the maze and find information to help you through. If you’re worried about getting lost, you can walk the “Survivor Trail”, which is marked with a red line to guide you quickly through the maze. Tickets cost $10 for the maze. Wagon rides, the bounce house, and the barrel train are additional costs. When: The maze runs from September 7 through October 28. It is open Fridays & Saturdays from 10 a.m. until 10 p.m., and Sundays from 10 a.m. until 6 p.m.
What:The Apple Country Farm Corn Maze Adventure is an 8-acre maze, “where getting lost means having fun!” The maze includes a lookout tower and lookout bridge, in case you need a little help seeing over the maze. Hidden throughout the maze are nine stations with “fun fact” questions! If guests answer correctly, they will be offered help throughout the maze. In addition, there is a chidlren’s mini maze for kids 2-5, pumpkins, hayrides, pumpkin painting, scarecrow building, farm animals and more. The maze is $9 for adults, $7 for children 4-12, and free for those 3 and under. When: The maze is open until November 4. On Fridays from 5 p.m. until 8 p.m., on Saturdays from 1 p.m. until 9 p.m., and on Sundays from 1 p.m. until 6 p.m.
What: Ticket prices range from $4.50-$12. Season passes can be purchased for $22. A variety of activites await maze goers, including the 9-acre maze, pedal carts, dodgeball, laser tag, and more. When: The maze runs through the end of October. 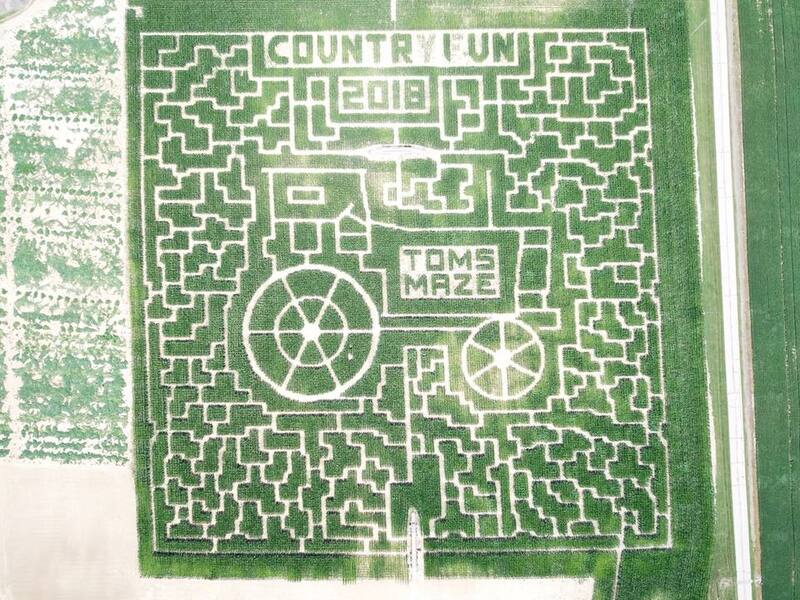 It is open on Fridays from 5 p.m. until 10 p.m., Saturdays from 12 p.m. until 10 p.m., and Sundays from 12 p.m. until 6 p.m.
What: Baby Cowvin has created quite a maze this year at Young’s Dairy Farm. The maze is more than 3 acres and includes one mile of paths. It is open to guests of all ages. Tickets are $6.50 per person. Children 4 and under are free. 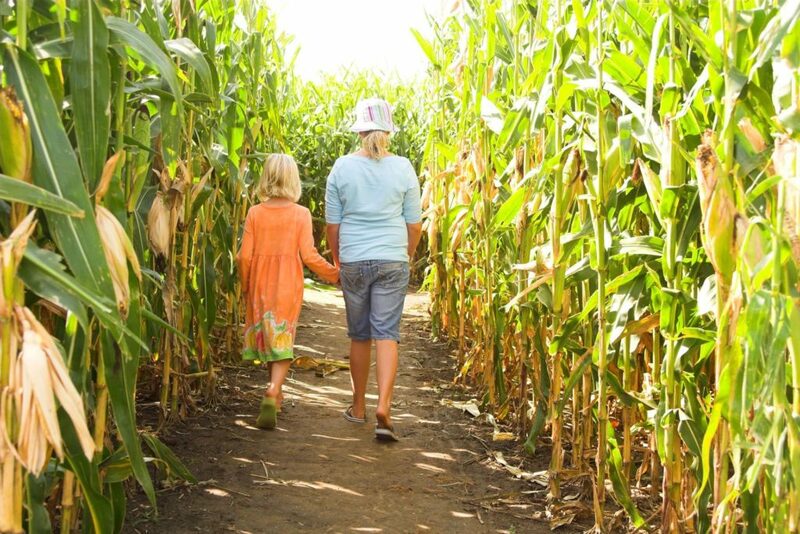 When: The maze runs until October 29, it will be open daily from 11 a.m. to 6 p.m.
What: Having fun at Honey Haven Corn Maze won’t just benefit you! A portion of all proceeds from the corn maze go to the Open Hearts and Minds Foundation, a school in Kokoth Ketang, Kenya. The maze costs just $6 per person. Children 6 and under are free. When: The maze runs until October 28. It is open on Fridays from 3 p.m until 7 p.m., Saturdays from 10 a.m. until 7 p.m., and Sundays from Noon until 6 p.m.
What: Guests of all ages will enjoy navigating through this dinosaur themed corn maze. If you’re an inexperienced corn mazer, have no worries. There are four different mazes all varying in difficulty. You can go through one maze or all four, which can take up to two hours. There are 24 hidden checkpoints throughout the maze for an extra challenge! Tickets for the maze range from $8-$9, and children 5 and under are free. When: The maze runs until October 28. 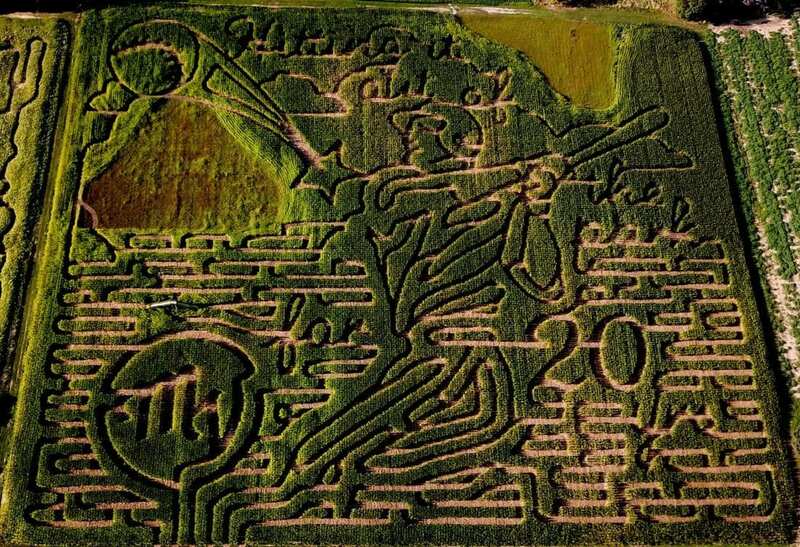 It is open on Fridays from 5 p.m. until 11 p.m., Saturdays from Noon until 11 p.m., and Sundays from Noon until 8 p.m.
What: Each year, Maize Valley offers a new, unique corn maze for guests to find their way through. There are hidden trivia questions throughout the maze. Each guest is given a game sheet with space for them to write down their answers. There are also other fun activities related to theme. Admission varys by date, with tickets ranging from $8-$10. When: The maze is open daily, but hours vary. For more details, please click here. 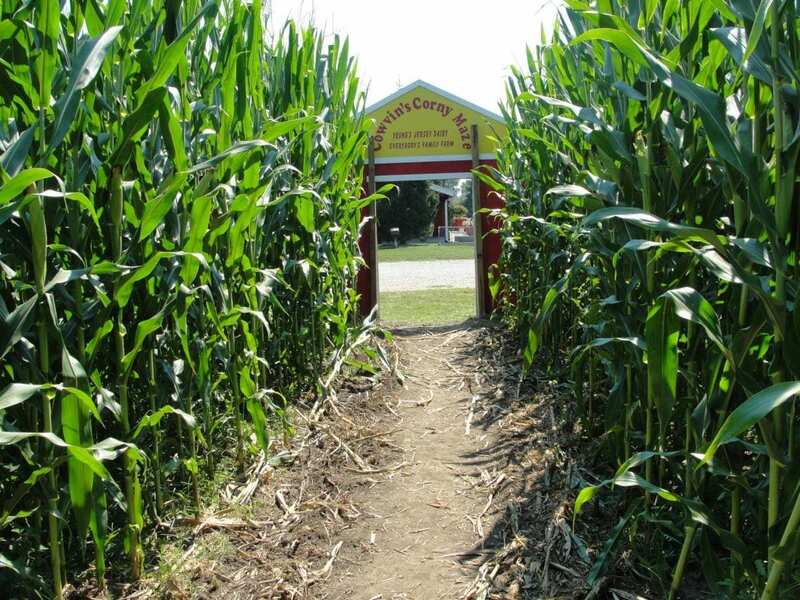 What: For the 4th year, McPeek’s will get you lost in the stalks of their giant corn maze. Want to make a weekend out of it? 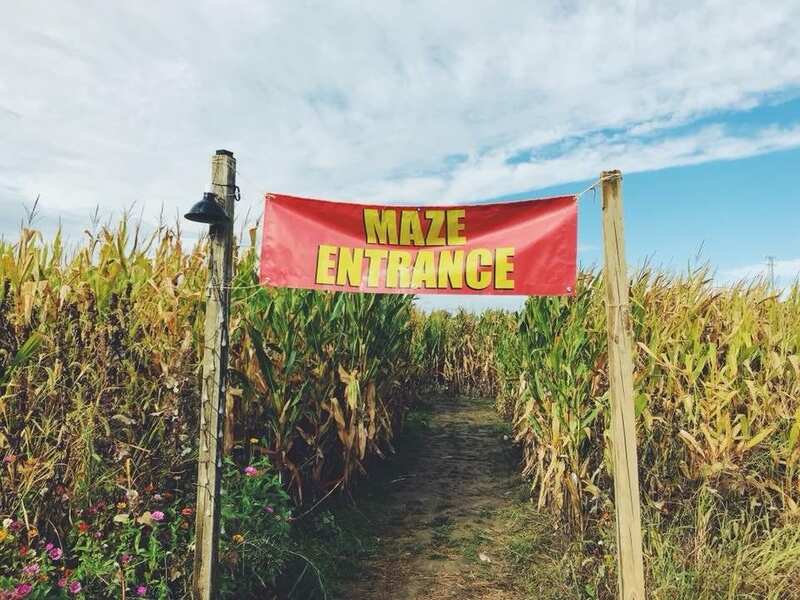 The maze is convieniently located on the Coshocton KOA grounds, which means you can camp out and enjoy the fall festivies all weekend long. The best part? Campers have free admission to McPeek’s Mighty Maze! If you aren’t camping, admission is $10, and free for those 2 and under. When: The maze will be open for fun until November 4. It is open on Fridays from 3 p.m. until 10 p.m., Saturdays from 10 a.m. until 10 p.m., and Sundays from 12 p.m. until 7 p.m.
What: Head to Tom’s Maze to celebrate 21 years of fun. This maze is built from the ground up. It is 8 acres and so much more than just a maze. It’s also a puzzle. Take the challenge and solve it to escape the maze! Admission is $9, and children 5 and under are free. When: The maze will be open until November 4. Hours are Thursdays from 12 p.m. until 6 p.m., Fridays & Saturdays from 12 p.m. until 10 p.m., and Sunday from 12 p.m. until 6 p.m.
What: Maze Craze is a one of a kind experience. Guests can experience four mazes, games, corn hole, jumpin gballs, corn boxes, a straw maze, fire pits, and more. There are also hayrides and barrel train rides for an additional price. Admission is $8-10. Children 4 and under are free. Military personnel are also free, with I.D. When: The maze will run until the beginning of November. It is open on Fridays from 5 p.m. until midnight, Saturdays from 11 a.m. until midnight, and Sunday from 11 a.m. until 9 p.m.
Get out there and get lost, Columbus. You’ll have an amazing time!